Many thanks to Mira Ink for the copy of this novel! My opinions are all non-bias and I received this from the publishers in exchange for an honest review. 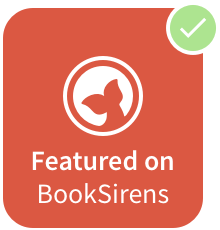 From acclaimed author Katie McGarry comes the explosive new tale of a good girl with a reckless streak, a street smart guy with nothing to lose, and a romance forged in the fast lane. The girl with straight A's, designer clothes, and the perfect life - that's who people expect Rachel Young to be. So the private school junior keeps secrets from her wealthy parents and overbearing brothers...and she's just added two more to the list. One involves racing strangers down dark country roads in her Mustang GT. The other? Seventeen-year-old Isaiah Walker - a guy she has no business even talking to. But when the foster kid with the tattoos and intense gray eyes comes to her rescue, she can't get him out of her mind. Isaiah has secrets too. About where he lives, and how he really feels about Rachel. The last thing he needs is to get tangled up with a rich girl who wants to slum it on the south side for kicks - no matter how angelic she might look. But when their shared love of street racing puts both their lives in jeopardy, they have six weeks to come up with a way out. Six weeks to discover just how far they'll go to save each other. When I first heard of Katie McGarry, way back when Pushing The Limits was released, I had no idea that Katie would become one of my favourite authors, especially for the Contemporary Young Adult genre, since I'm more of a Fantasy/Sci-fi girl. But I fell in love with the series and haven't turned back since. 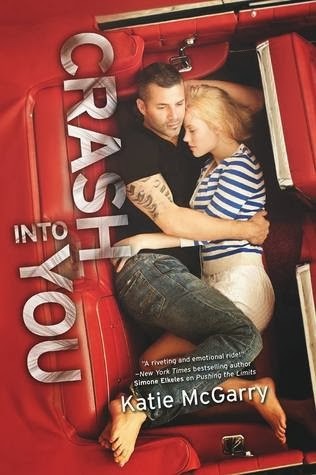 I was over the moon to get a copy of Crash Into You (thanks to Mira Ink! ), still knowing I'd read anything Katie wrote, whatever the characters or plot. Where we've seen Noah have his story in Pushing the Limits, and Beth having her time in Dare You To, it was Isaiah's time to stand in the spotlight, and accompanying him was the complex, enthralling character; Rachel. And they were more alike than first thought. Isaiah's background is cluttered, and he knows it. Living in an apartment that's less than amazing, with Noah and the occasional guest Echo, his life revolves around school, working with cars, and trying not to get caught up in the wrong crowd. Rachel couldn't have a more different lifestyle. Her family is wealthy, living in a gated community, where she lives with her parents and four brothers--one who's her twin, and also in the shadow of her dead sister, who...she's never met, but is pressured into being like her in most ways. Rachel suffers from anxiety, and especially from stage-fright and public speaking. It's been dangerous to her in the past, and feeding her mother's need for another person to be the person her sister; Colleen, was, is only making things worse. They meet in a way they could've never expected. Illegally racing cars, on the verge of police catching them, suddenly thrown into a world of street fights and people so highly known in the racing game, of which they now have to re-pay for the damage they've caused by that one crazy night, where everything started... I'm a huge fan of Isaiah and Rachel. They were very suited to each other, and I think there was a gap in both their lives that needed a spot filled. With Isaiah's broken heart over Beth, he was still reeling from the hurt she had caused. He no longer loved her, but there was something that only love brought out in him. Rachel made him forget who Beth was, and find himself something more hopeful and lasting. Whereas Isaiah gave Rachel a lifeline, someone who distracted her from the world of living under a shadow, and going home to secrets and lies. They were both Car-mad and had undeniable chemistry and mutual interests in their Car-talk and ways of knowing each other so well, that they seemed to be a perfect match. The fast-paced excitement and romance roller-coaster will have you holding on for a breathtaking ride of love, deception and thrills. Isaiah's love for Rachel is reciprocated and multidimensional, real and something they've both been waiting for. But holding on to the happiness they both deserve is challenging along the way, and you'll surely hold your breath as Crash Into You comes to a heart-stopping end. Katie's writing reeled me in from the start, and both POV's were so uniquely demonstrated and foolproof. A beyond amazing addition to the Pushing the Limits series. I can't wait to read the next in the series, where we're entwined into Rachel's life again...with someone very close to her...YAY. More than 5 star worthy! Are you excited for Crash into You to be released, or have you already got your hands on a copy?! What did you think? Tell me in the comments! I would love it if you could on bloglovin'! I love getting new followers and I promise there will always be a book here that you love.